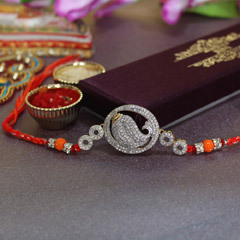 Pearl Rakhi is the one that is particularly decked up with pearls. 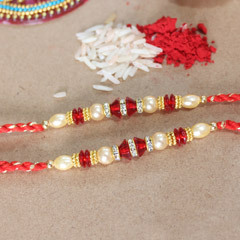 Differently colored of pearls are combined together to make a beautiful looking pearl Rakhi. 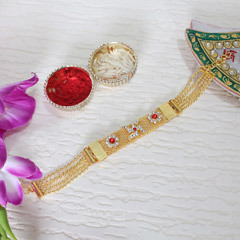 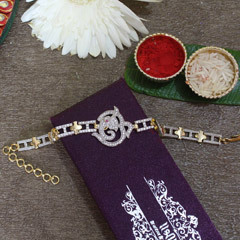 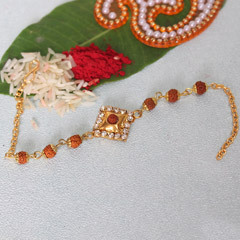 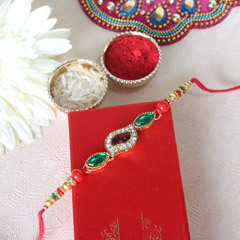 Generally, the center of the Rakhi is highly embellished with pearls. 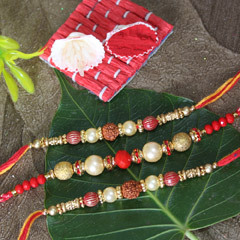 But sometimes, even the whole string of thread is also decorated with colored pearls. 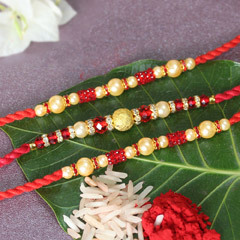 The Rakhi makers can make innumerable designs and patterns with pearls on Rakhi. 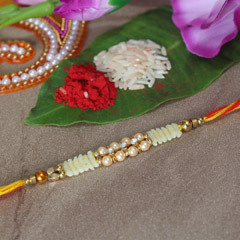 Freshwater pearls can be singularly used to make pearl Rakhi. 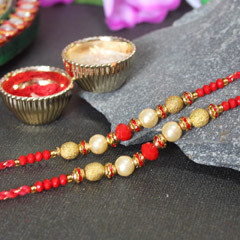 Besides, pearl in combination with other precious stones, sequins, and beads would also look beautiful and excellent for the celebration of Rakhi. 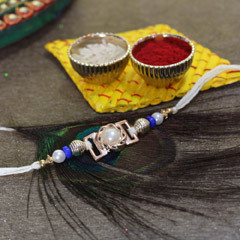 Pearl is a type of organic gemstone descending from a living organism. 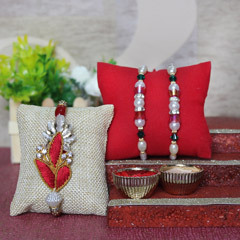 Pearls are divided based on its shape and origin. 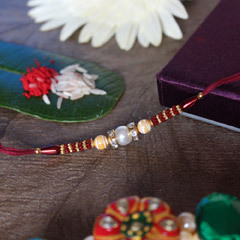 You can use natural as well as cultured pearls for that glossy and classic pearl Rakhi. 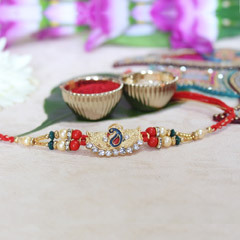 It would look simply stunning to tie a knot of natural Rakhi on your brother’s wrist. 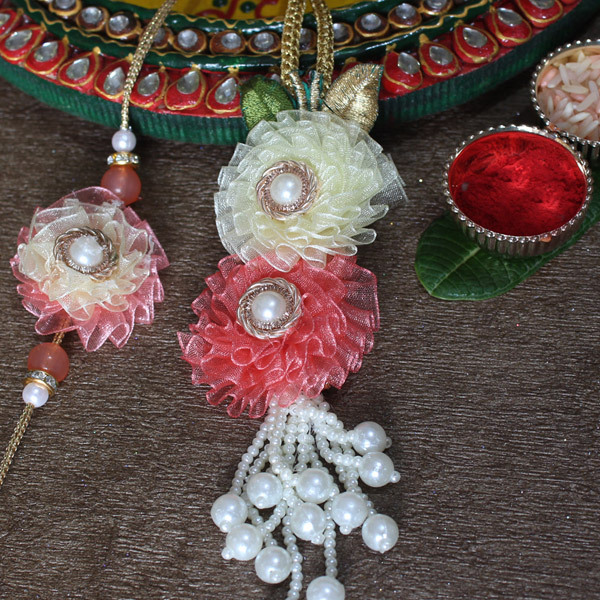 Besides, you can also use differently shaped pearls like symmetrical, spherical or baroque pearls. 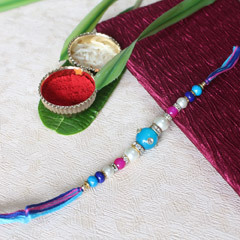 There are saltwater pearls too that can be used. 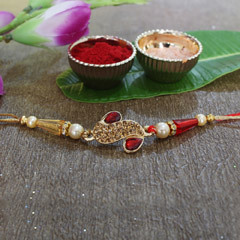 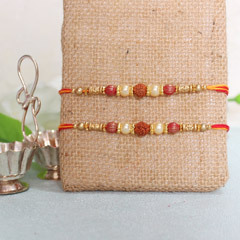 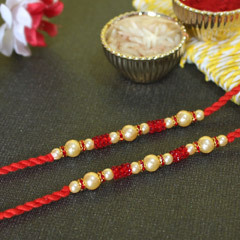 No doubt, Pearl Rakhis are expensive but they make splendid and wonderful Rakhi threads! 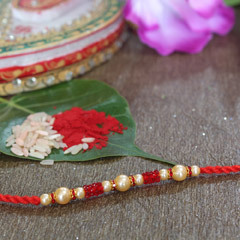 Pearl Rakhi is sometimes used for manifold purposes. 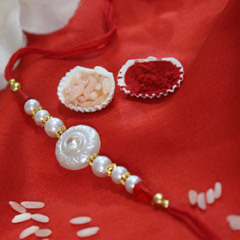 It is believed that pearl possesses therapeutic value. 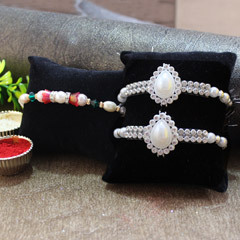 White colored pearl is used to keep your calm and it signifies beauty and peace both. 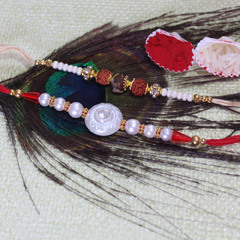 It develops an aesthetic sense of the people. 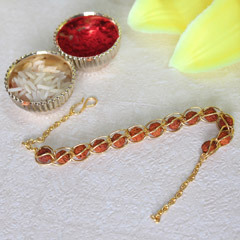 This beautiful stone is widely used for making Rakhi (link to learn to make Rakhi page). 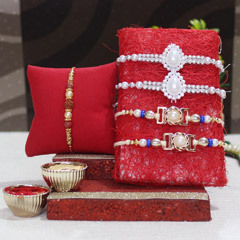 Pearl Rakhi has become the buzz of the day because it can be stored. 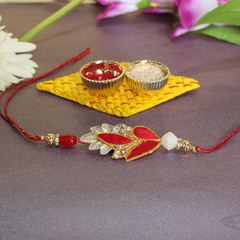 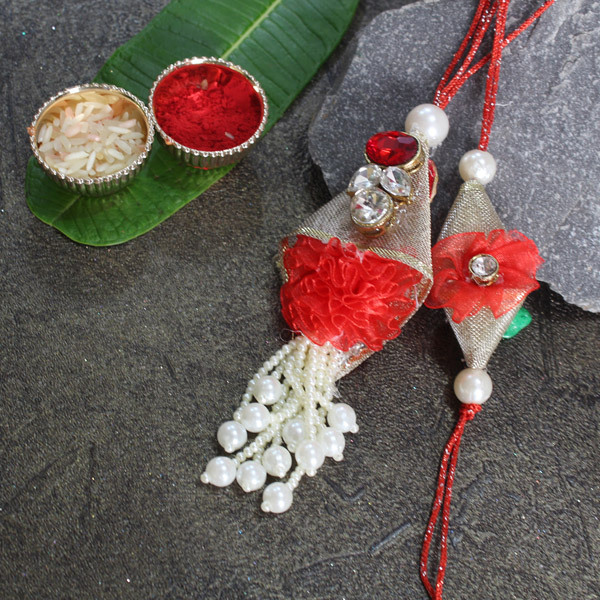 However, you will have to take little care to keep the luster of the pearl Rakhi intact. 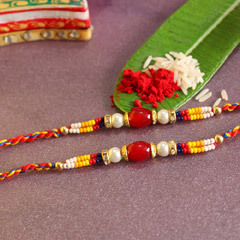 After the celebration is over, you can wipe the Rakhi with a moistened cloth. 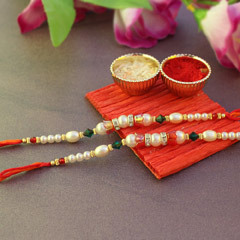 Air the pearls for some time and then keep it. 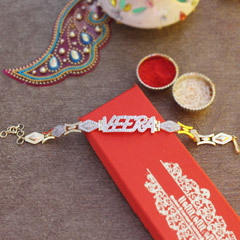 But you should not keep this with any other jewelry. 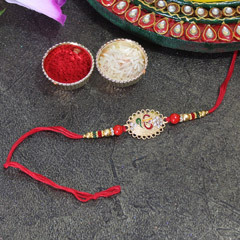 For the making of this Rakhi, care must be taken that only nylon or silk thread is used for threading it. 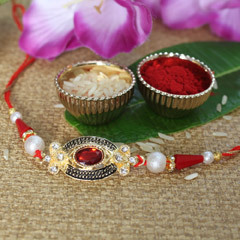 Sendrakhi.com offers you interesting information on pearl Rakhi. 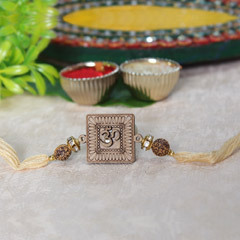 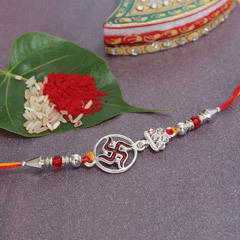 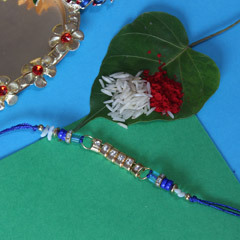 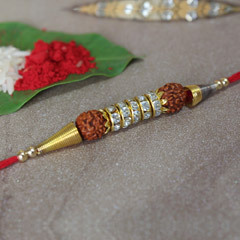 For more related information on Rakhi and its celebration keep sailing through the website.